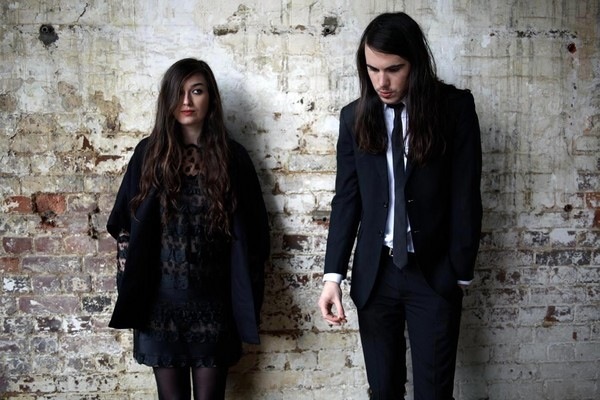 At first listen, Cults sounds like a garden variety, easy on the ear 60s style girl-pop band. Retro modern bubblegum seems to spring from the cracks in the sidewalk in Brooklyn these days- but if you dismissed Cults at that, you’d be sorely mistaken. Beneath the surface there are weird underpinnings- influences from unexpected places, hints of aggression bubbling to the surface throughout their debut album, Cults, released last June. Their band name itself is taken from singer Madeline Follin and Brian Oblivion’s shared fascination with fringe groups and left-of-the-dial religious sects. The chirping “Go Outside” sneaks in a barely recognizable sample of mass-suicide leader Jim Jones; “Abducted” kicks off the album with an infectious ode to obsession with one’s captor. Cults’ shimmering, near-perfect debut came out almost a year ago, yet still seems to grow more appealing with repeated listens. Perhaps that’s been the hidden agenda all the while. Check out Cults- expanded to a five piece touring band- this Saturday, April 7 at The Neptune in Seattle with special guests Spectrals, Mrs. Magician. Written by: angrytruffle on 04/05/2012. This entry was tagged cults, posted by jessica. Bookmark the permalink.